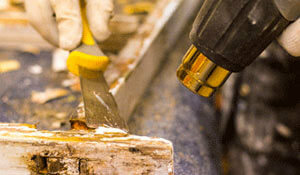 At Fortis & Hooke our sash window restoration process is one of the most advanced and reputable in the country. Our skilled operatives can repair and refurbish almost any original sash window in the UK, using a process that has been meticulously honed through trial and error over time. Our unique sash window restoration approach enables homeowners to retain one of their property’s most important original features, whilst also ensuring windows are safe, secure, and beautifully- enlivened for years to come. Our sash window restoration process is based on a simple premise which is to restore your sash windows to their original condition whilst maintaining their mechanical and aesthetic purpose. This is achieved by utilising a mixture of modern and traditional repair methods, refurbishing all mechanical parts, installing a movement- enhancing draught sealing system and fully- stripping original sashes before hand-painting begins. Sash Window repair: Our specialist team will thoroughly inspect your sash windows with a view to sympathetically repairing any elements that are damaged. Once all issues have been identified, our craftsmen will mend and restore your sash windows off-site, ensuring minimum disruptions to you and your home. To protect your property whilst work is being carried out, we will also install bespoke temporary windows, giving you peace of mind. Remove Old Paint From Sash Windows: The next step on the Fortis & Hooke restoration journey is to attend to the removal of old and worn paint from your sash windows, creating a blank canvas with which to work from. Hand-painted Frames: Once everything has been stripped back we will carefully hand-paint frames using a flexible oil-based paint product that promises stunning results. Replacing All Sash Cords: Our expert team will also replace all of your sash cords to ensure that your restored windows function as well as possible. Rebalancing Sashes by Re-weighting: Sash frames can become imbalanced over time but at Fortis & Hooke we’ve got it covered; we promise to re-weight your windows, restoring the smooth movement of sashes within each frame. DS Perimeter Draught Sealing System: It’s essential that your newly- restored frames are well-sealed, as this will improve security, aid heat retention and eliminate draughts. At Fortis & Hooke we have pioneered the market-leading DS Perimeter Draught Sealing system, a solution that is widely accepted as the most comprehensively tested, detailed and effective of its kind that can be used to completely seal any sash window. Final Paint Application: The process is complete with a final coat of paint, which will ensure a durable finish and a long-lasting result. Our comprehensive restoration process delivers the best of both worlds to our customers who can refresh their windows’ aesthetic appeal whilst also guaranteeing a more heat-efficient, secure, and functional home. We also help period home-owners to strike an ideal balance; offering the opportunity for proud owners to upgrade their properties without sacrificing the original features they cherish. Our sash window restoration service is completely unique and our-time tested approach can’t be imitated. Whilst some service providers adopt the term ‘restoration’ only to describe aspects such as basic repairs and sealing draughts, here at Fortis & Hooke we believe that restoration should encompass every possible element of the window’s design and function, which is why we have harnessed & developed a special process that delivers spectacular results. Our special expertise ensures that each individual element of the process is completed to the highest possible standard but we also realise that value for money and cost-efficiency is important to our customers. Investing in the restoration of sash windows can not only be a cheaper alternative to installing costly window replacement but it could also add significant value to your home. Prospective homeowners value original features, and that desire can add thousands of pounds to the value of your property, particularly if you live in areas around London and the South- East where demand for high-end period housing is high. 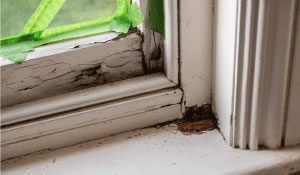 Restore or Replace Sash WIndows? Since our inception we’ve been privileged to work on several thousand original window restoration projects and the old adage that “they don’t make them like they used to” still rings true to this day. the majority of period windows were made with well-seasoned timber. Well-seasoned timber withstands the elements and neglect much better than newer timber substitutes so restoring your original windows could be a cheaper and more viable option. Our sympathetic restoration approach compliments our heartfelt belief that English heritage should always be respected and original features should be retained where possible. Original sash windows perfectly capture a cherished part of the UK’s history and we always seek to uphold the skills, dedication and craftmanship demonstrated by our ancestors. Not only are fully-restored windows future-proof but retaining and restoring your original timber frames can be the most environmentally-friendly option available to homeowners. Wooden window restoration ensures waste and the impact of shipping is significantly reduced and sealed sash windows can help you cut back on energy consumption by easing the reliance on gas or electric heating systems to warm the property. At Fortis & Hooke, we are extremely passionate about retaining the heritage, style and character of original French doors. To achieve this, we offer a full restoration service that includes repair, repainting, replacing broken parts and draught-proofing. This ensures that you French doors will be fully functional and aesthetically stunning for decades to come.